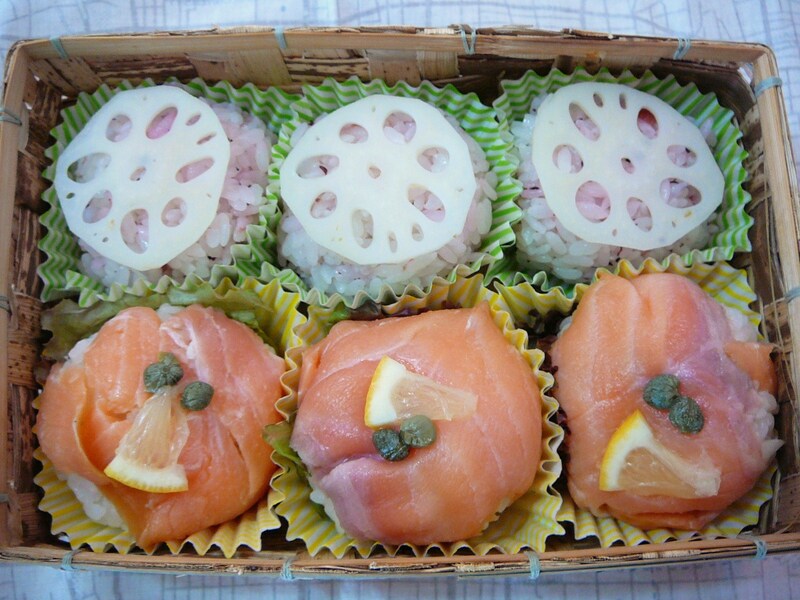 The Missus came up with an old favourite of hers with today’s sushi bento: Te-Mari sushi! As you can see she combined Jpaanese and Western tastes in the Te-Mari balls! 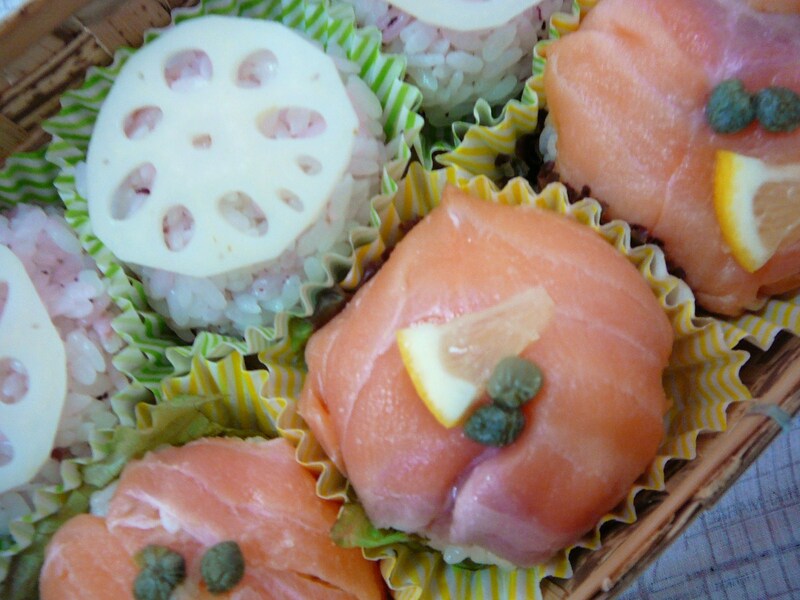 One type came with rice steamed wit konbu, then later prepared as sushi rice. 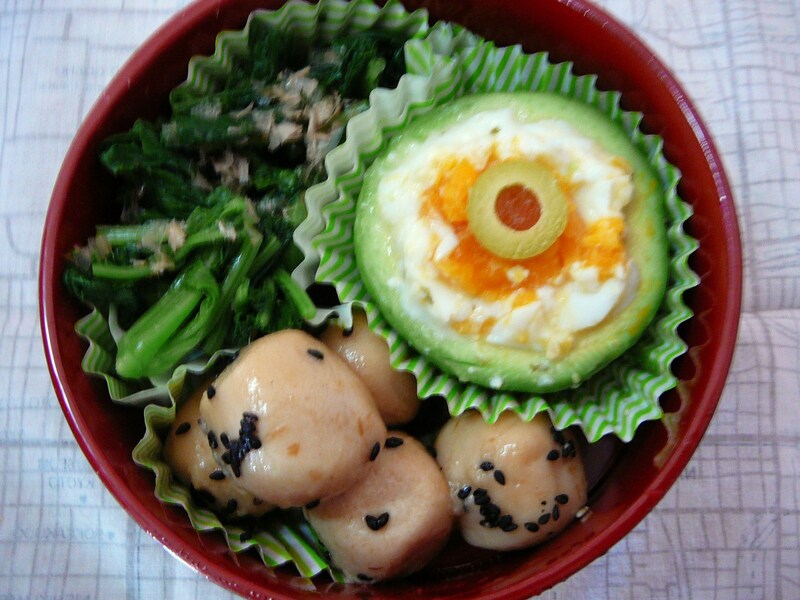 She then mixed half with sweet umeboshi flesh and topped the balls with a slice of boiled and lightly pickled renkon/lotus root. 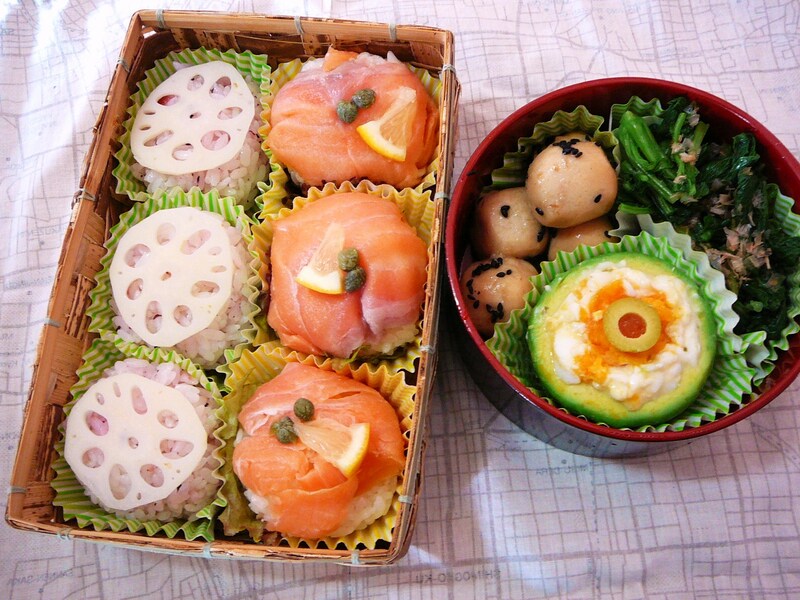 As for the other type, she mixed the rest of the rice with small cubes of cheese and topped the balls with smoked salmon has just brought us from Ireland, and some lemon and capers. A small piece of lettuce was introduced under the ball for extra taste. She cut an avocado in half across the length, and peel it before filling it first with the whites (crumbled) of a soft-boiled egg, then the yolk (crumbeled) of the same egg before topping it with a slice of pimento-stuffed green olive for colour! She added boiled spinach salad seasoned with gomadare/sesame dessing, and another salad of boiled and broiled satoimo/taro seasoned with roasted black sesame seeds. Grat balance, colourful and tasty again!